would you actually consider this a 5.2 inch screen. To be honest i think its more a 5.0 or 4.9 because the navigation buttons get in the way alot. I wish there was a way to make it dissapear when your in apps. Maybe a sweep down the screen will hide it and a sweep up to bring it back. But ye i know some apps do hide it but not most..
root your phone..get auto hide app in play store. 5.2. solid. youll never go back. it works perfect. i would root after my warranty is over. that is the issue. Root it. There's an app that does exactly that. Without root there's not much you can do. Pretty much all phones with onscreen buttons are like that. soulgrnd and moosc like this. Depends if the app maker coded. There's 2 codes one to fully hide the other to leave it but hide the buttoned and leave dots. What icons and theme are you using?! When playing videos or watching movies, the nav controls disappear. So yes, this is a 5.2" screen. How do those soft buttons work? How do they distinguish between the button and whats underneath it? Also, what are they called? Thanks! The app to hide everything is full!Screen. How it works home bottom right back bottom left. But I actually use lmt pie control. Notification bar is needed for me. What lg should do is have an option to auto hide the navmenu. They allready have options to customize it why not just add an auto hide feature or somthing. Ok. I think you just convinced me to root. I really miss nova but just can't deal with the non transparency. This will be my first time rooting. Can you direct me to a good walkthrough I can follow? And where did you get that ac widget? It doesn't get any easier. There's a video and one click in the .zip. Hardest part is getting the right drivers so adb can see device. NEMESIS_RGZ and MrBungle999 like this. so is it hard to root or what. It dissapears in netflix for me. Have just had the phone for 2 days so haven't put mutch thought into it! 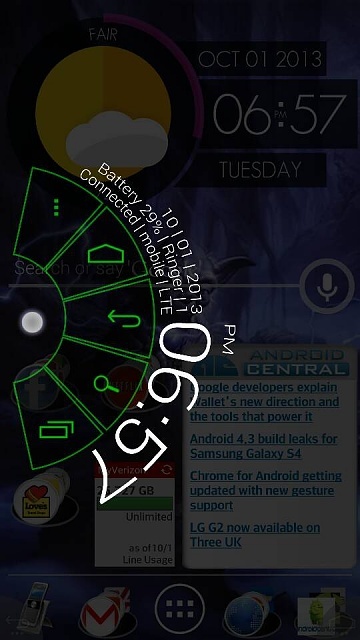 Lock Screen Widgets in Note 3 Missing? 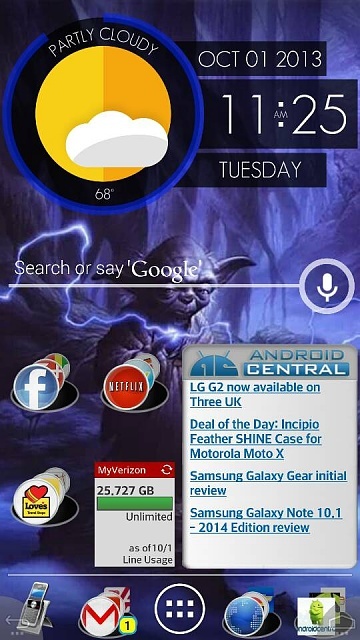 Lock Screen Multiple Application Widget? Galaxy S3 Screen Not coming on, LED Blue.